The Gold Edition of Resident Evil 7: Biohazard dropped this week along with two new DLC expansions for the acclaimed horror game. Resident Evil 7: Biohazard was released earlier this year to rave reviews from critics and fantastic sales numbers for the franchise. Two expansions have already been released. Banned Footage Vol. 1 was released in January, including new scenarios and a new game mode. Banned Footage Vol. 2 was released a few weeks later including another new game mode and new content. On December 12th, Capcom released Not A Hero, and End of Zoe, the final two DLC installments for the game that will aim to wrap up the rest of the story. 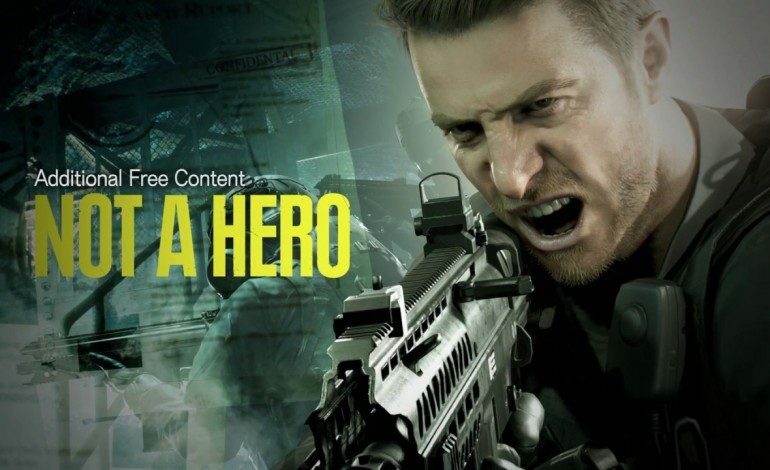 Not A Hero takes place in the immediate aftermath of Ethan Winter’s story in the main campaign and has players take control of Chris Redfield, a long time fan favorite character. Redfield is on a mission to locate Lucas Baker. The action-heavy adventure will see Redfield “facing new enemies and cruel traps,” and allows players to “use his well-honed skills in marksmanship and melee fighting as he attempts to secure his target and uncover the truth behind the Baker incident,” according to the Steam description of the expansion. End Of Zoe will take players back to Zoe Baker, a character they will all remember from Ethan’s adventures in the main campaign. The DLC as described by Capcom will be “exploring the fate of Jack and Marguerite Baker’s daughter alongside the mysterious outdoorsman, Joe Baker.” The trailer shows Zoe’s body being discovered by this man, and goes on to describe him as on “a mission to save his only family.” Players can look forward to exploring new swamp environments and facing off against new enemies. As for Zoe’s fate and Joe’s role in the Baker clan, players will have to pick up the DLC and find out for themselves. Resident Evil 7: Biohazard Gold Edition is now available for PS4, Xbox One and PC and will retail for $49.99 and include both DLC releases as well as Banned Footage Vol 1. and Banned Footage Vol. 2. Owners of Resident Evil 7 can download Not A Hero for free, while End Of Zoe will cost them $14.99. End of Zoe is also included in the season pass. Several trailers and behind the scenes videos for the new edition and DLC are available on the Resident Evil Youtube channel.